Hybris’ future safety as well as the coherent concept of our longtime partner itelligence has convinced us of the innovative commerce solution. Today, Hybris is our strategic platform for the development of new business and sales models. 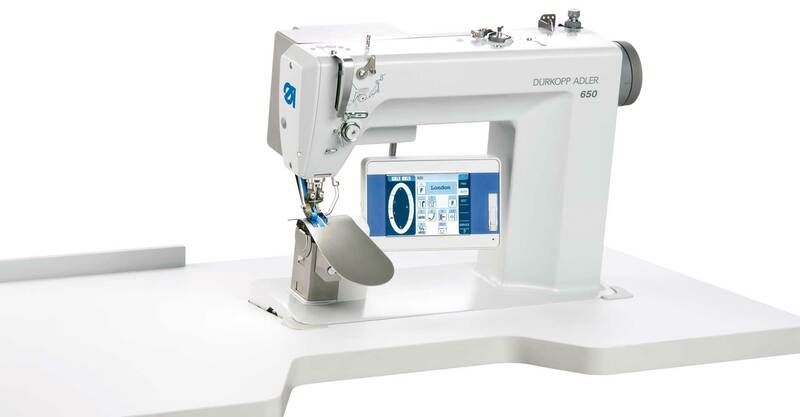 The Bielefeld-based company Dürkopp Adler produces industrial sewing machines in the highest “Made in Germany” quality for clothing, cushions, leather, shoes, technical textiles, and the automotive industry. Deductively, more than 25,000 completely configured end products can be produced. The Hybris E-Commerce Suite’s success factor lies in the integration of all important business units. The basis for this is Product Information Management (PIM) that allows management of all product content centrally, consistently, and via all channels. As a result, Dürkopp Adler can improve content quality as well as global cooperation. The company can score with a synchronized brand identity and a comprehensive service. Not only do customers benefit from the SAP Hybris solution, but Dürkopp Adler’s employees also profit because they can use the same online storefront. As a result, they provide comprehensive support in real time with the Assisted Service Module (ASM). Seamless connectivity to the SAP ERP landscape back-end processes is another persuasive key aspect of the solution. In doing so, a flexible and consistent exchange of product and customer data, availabilities and orders between SAP Hybris Commerce Suite and the existing ERP system is guaranteed. The sewing producer, located in Bielefeld, is so convinced of the concept that the affiliated companies, Beisler, Pfaff Industrial, and KSL, will also use SAP Hybris Commerce Suite. Dürkopp Adler has recognized added value through itelligence’s work setting up the new website as an additional channel. The decisive advantage: product data maintained in the PIM can be automatically transferred onto the website. Hence, the entered data are not only reused in the web shop, but on the website as well, reducing the data maintenance effort significantly. Moreover, an intuitive user interface and a responsive design facilitate the handling for customers as well as for employees. With SAP Hybris, Dürkopp Adler has a sound e-commerce strategy platform for the future.